We provide ODM (Original Design & Manufacturing) contract manufacturing services for companies in the areas of smart home appliances and home automation, M2M and Industrial IoT, medical devices, telecom, logistics and transportation sectors. Our ODM services are geared towards companies that are planning to develop and manufacture their own unique line of line of products. For these projects, existing standard off-the-shelf products may not fully address their project or market needs. The product requirements may warrant complete hardware/board and.or plastics/mold design. Based on the market requirements or specifications provided by the customer, we will embark on a joint design, rapid prototyping and ultimately the mass manufacturing of the product. We can even work with companies from concept/idea stage and help define and solidify the product specifications that will address the market needs. i. Systems engineering design and program management. ii. Industrial & mechanical design. iii, Hardware design including custom embedded board design & PCB fabrication for the board and display components. iv. 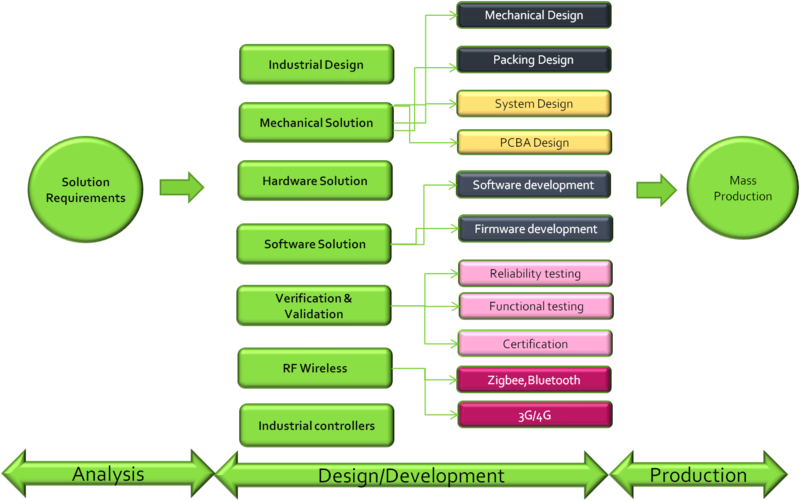 Firmware and software development including driver development and custom ROM. An example of an ODM engagement is a project requirng design of a custom board to fit an application. The custom board may require additional IOs to interface with other modules or boards, or may require integration with sensors. In addition, there may be constraints on the required dimensions of the board to fit a specific mechanical structure. The redesign effort may include board/PCBA design & layout, adding/removing components such as 3G, GPS, accelerometers and other sensors in order to meet specific functionality at a target price point.